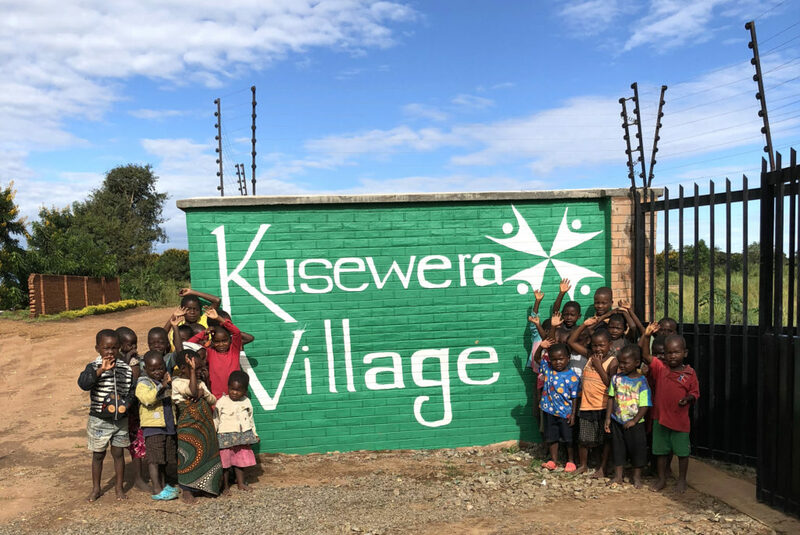 In 2017, Kusewera completed the build-out of a brand new Community Center, Sports Complex and Volunteer Guest House on 13 acres of land near the capital city of Lilongwe, Malawi, Africa. We will continue our current work, and expand the areas we reach to organize more activities and clinics for more kids such as sports, dance, music, art, creative writing, sewing, permaculture and more! 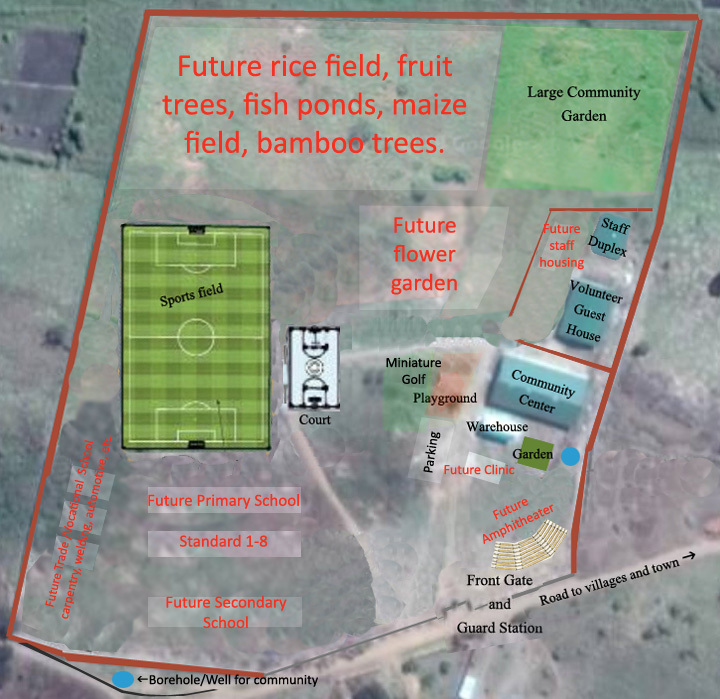 We hope to add-on additional buildings, including a school, clinic, vocational /trade school, amphitheater and provide a computer lab/internet cafe to empower the children and adults in the community to pursue goals, dream for a better future and be positive leaders in their communities. We also offer free classes in English, math, guardian encouragement and more. The mission of this Community Center & Sports Complex is to give the people of the community the benefits of international influence while promoting the Malawian culture. Through the building of this Kusewera Village, we strive to bring jobs to the area, teaching skills to create sustainable buildings, grounds, and agriculture/food programs that make up this beautiful, productive complex. Watch the promo video HERE! …and check out the latest blog with updates HERE! We will keep this page updated with photos and information as things progress. You can check out the layout and vision below. We will be raising funds in phases to complete each phase efficiently, so check back often! Phase 2a – $350,000 total – 80% complete, $50k to complete (landworks, building of the perimeter wall and construction of community center, volunteer guest house, storage warehouse. Help us turn our dreams to reality, and donate to this project today! See below for the current progress and our vision for the future!